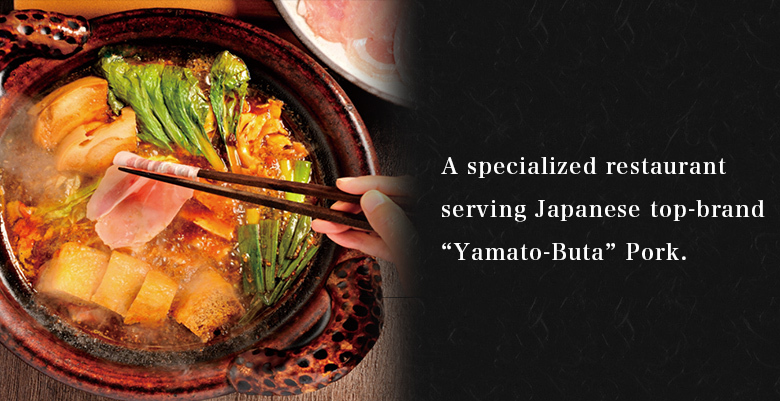 Enjoy the blissful moment having “Yamato-Buta the Japanese Pork ”! 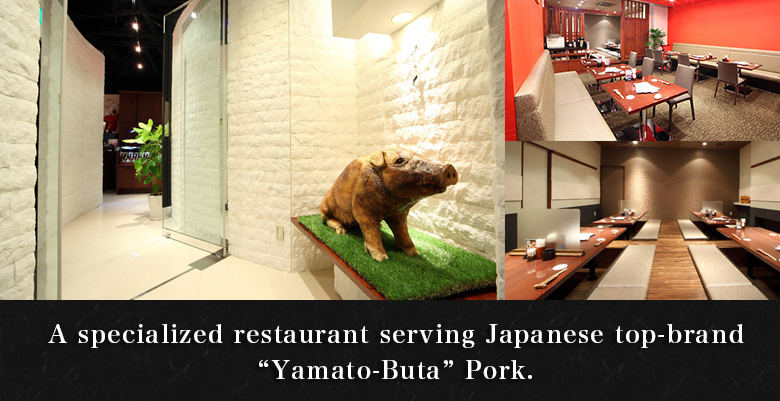 Innovative Pork Cuisine Yamato is a specialized restaurant serving Japanese top-brand “Yamato-Buta” Pork, which has gained global recognition. 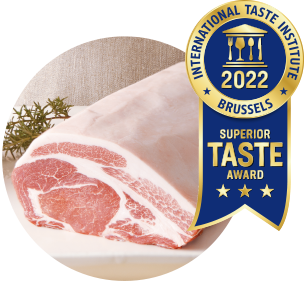 You will savor the delights of the cuisine with our pork that has received three stars from International Taste & Quality Institute (iTQi) in Superior Taste Award for the third consecutive years since 2015. We have a variety of “Yamato-Buta” Pork items, such as “Yakuzen Furochoju Nabe (Medicinal Herb Longevity Hotpot)” which is Yamato’s signature menu. We also have ham and sausages made by our chef who learned traditional sausage recipes in Germany. 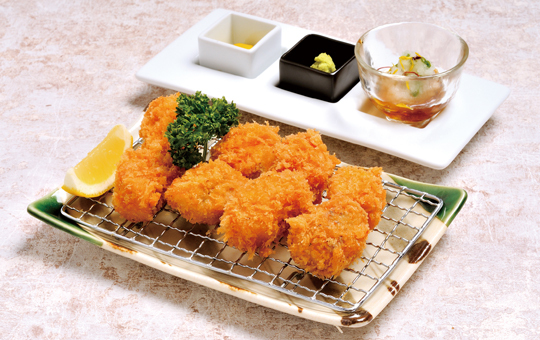 Take this opportunity to relish “Yamato-Buta” Pork, tender, subtly sweet, and juicy even at the fatty part. Make your reservations by phone, email, or on website. Enjoy our variety of Innovative Pork Cuisine. E.G. 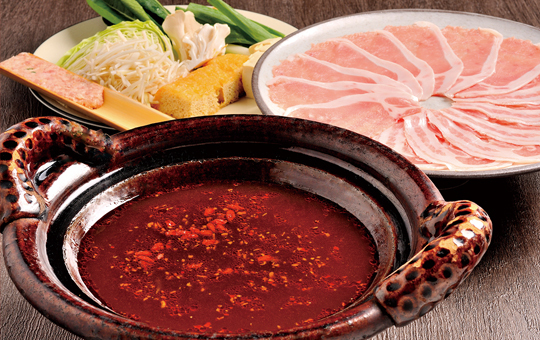 Hotpot, grilled dish, simmered dish so that you can relish the flavor of “Yamato-Buta” Pork itself. 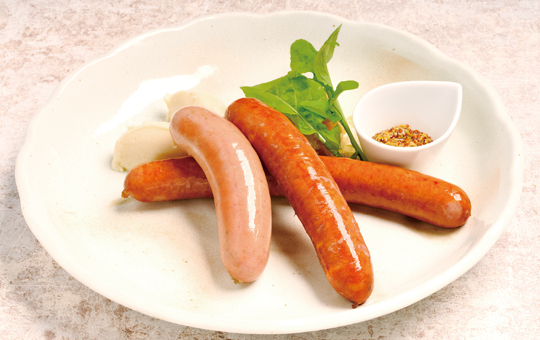 Ham and sausages are made to take advantage of the “Yamato-Buta” Pork’s great taste, by our chef who learned traditional sausage recipes in Germany. “Yamato-Buta” the Japanese Pork is a top-brand pork raised with Japan’s leading-edge technique and hygienic management in Japanese farms with rich natural environment. 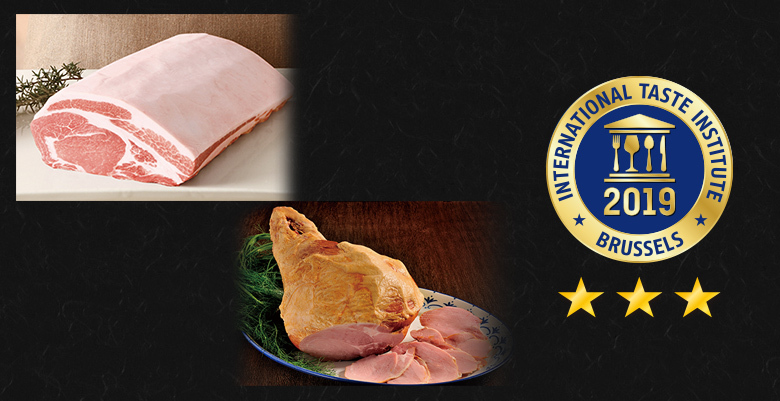 Frieden has grown along with the Japanese hog raising history and introduced the pork in 2001. Frieden has obtained the first on-farm HACCP certification in Japan and has been pursuing safety, reliability, and palatability, according to their principles. “Yamato-Buta” Pork has been improved of its safety as well as the meat quality to meet the Japanese delicate sense of taste, and therefore has a high reputation. 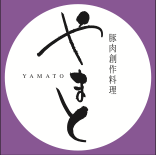 In 2015 “Yamato-Buta” Pork has received three stars from International Taste & Quality Institute, and won Crystal Taste Award in 2017 after receiving three stars, three years in a row. “Yamato-Buta”, meaning “the Japanese Pork”, has now gained world-wide acceptance.